Alibaba Group Holding Ltd (NYSE:BABA) has revealed that it has reserved $316 million in capital for a fund that will invest in startups based in Taiwan. According to a report from The Wall Street Journal, the new fund will be comprised of 10 billion New Taiwan Dollars and will be spent primarily on mobile commerce startups. Furthermore, the publication notes that Alibaba Group Holding Ltd (NYSE:BABA) wants to invest in firms which are also growing their businesses through the Chinese electronic commerce giant’s online platforms. The announcement of a new fund for Taiwan-based startups follows Alibaba Group Holding Ltd (NYSE:BABA) announcement of a $129 million fund for investing in startups based in Hong Kong. As with the newly announced fund for Taiwan, the Hong Kong fund is meant for startups which are growing their business through Alibaba’s online platforms, The Wall Street said. Furthermore, the publication said that these moves being spearheaded by the Chinese company is a way for it to expand its base of entrepreneurs as businesses in Hong Kong and Taiwan are more attuned to the tastes of people in their area than businesses from mainland China. 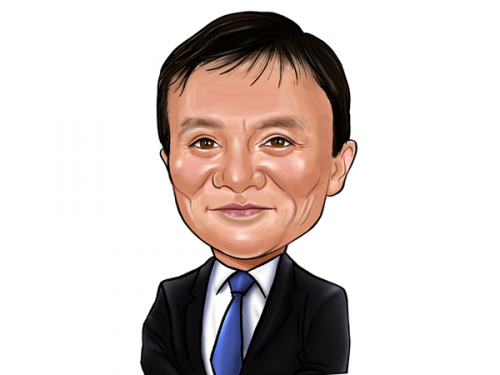 However, Jack Ma, the founder and CEO of Alibaba Group Holding Ltd (NYSE:BABA) has also said in the past that he wants to help business outside of mainland China to be better able to sell their wares to the mainland Chinese market. Alibaba Group Holding Ltd (NYSE:BABA) closed a $21.8-billion initial public offering in September, the biggest of its kind in the U.S. One of the firm’s largest institutional investor is Dan Loeb’s Third Point which ended the year with 10 million shares in the electronic commerce giant, increasing its stake 39% quarter over quarter.